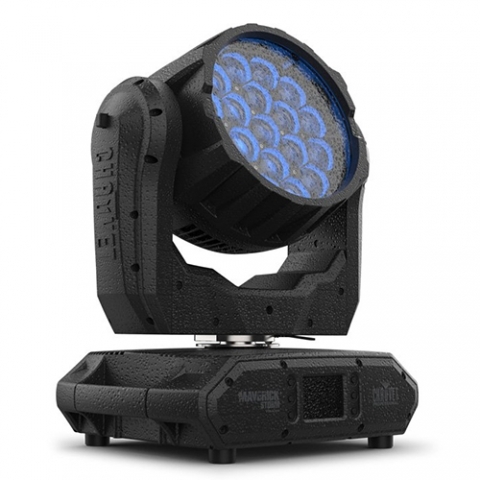 The Chauvet Maverick Storm 1 Wash is an IP65-rated RGBW Osram LED moving head outdoor-ready. The unit features a compact and rugged die-cast aluminum housing built with marine grade stainless steel screws to withstand even the harshest elements. With an output of just over 6000 lumens, its customized optics are well suited for audience and aerial washing, even at larger venues. Currently only located at 4Wall LA.